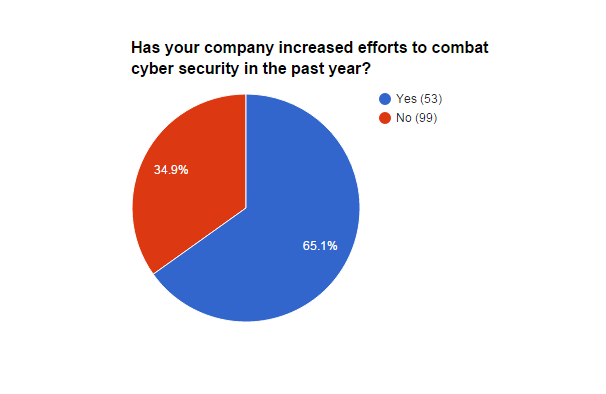 Data based on a poll of 152 industry insiders conducted by Firmex shows minimal measures being taken against mounting cybersecurity threats. “We hope this report spurs M&A dealmakers to better safeguard their information,” says Joel Lessem, CEO of Firmex. Data breaches and cyber-attacks are rising among business and their advisors, but M&A participants are taking limited preventative measures against these threats, according to a poll of 152 industry insiders. The data was collected by Firmex, a global provider of virtual data rooms (VDRs) for corporate transactions and secure file sharing. 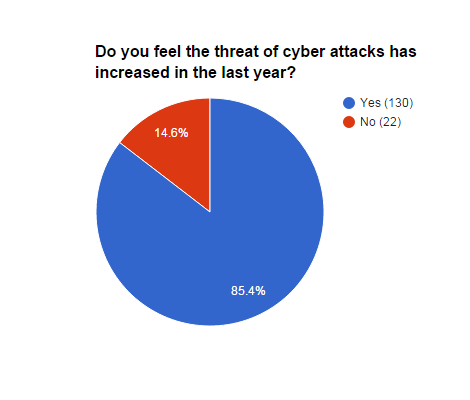 The study found that the overwhelming majority of corporate dealmakers and their advisors (85% of respondents) believe that cybersecurity threats have increased over the past year, and that one in five organizations have already seen an attack affect their bottom line. Despite the growing fears, only 64% of respondents said their workplace has increased efforts to combat data security threats in the past year. Additionally, only 43% reported having received cybersecurity training and 68% believe email is a secure means of sending confidential documents. This is despite reports from the past year that email is a target of hackers for confidential M&A deal information. For a full text of the report, go here. Firmex is a global provider of virtual data rooms and a secure document sharing platform. The company helps run over 10,000 new data rooms a year with more than 75,000 companies worldwide trusting Firmex as their virtual data room provider. Millions of documents are exchanged each year using Firmex, supporting processes that include financial transactions, mergers and acquisitions, corporate governance, regulatory compliance, litigation, and procurement. For more information, go here.